The wooden house on stumps – the Queenslander – has a special place in Australian design and some of the best examples of Queenslanders on tall stilts are to be found in regional Queensland and some of the older inner-city suburbs of Brisbane, such as Paddington. However, there are also examples of building on stumps to be found in the Asia Pacific region. 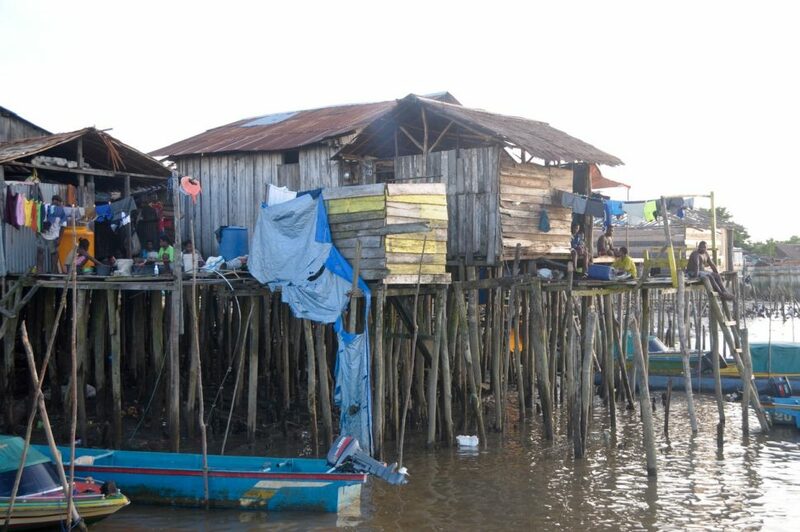 Some of the most interesting examples of houses on stilts are found in the remote village of Agats, the capital of the Asmat region, West Papua. The village itself is located adjacent to the protected World Heritage site of the Lorentz National Park, and it lies in an extensive labyrinth of rivers, small islands and streams containing mangroves that extend deep into the inland of West Papua where there are no roads but many waterways. The homes and the “streets” of Agats are on raised wooden boardwalks. They are designed to keep the homes and pathways well above the extraordinary tides – often over two metres in variation. Visitors can approach the village by boats, dug-out canoes, and occasionally, ships that use inflatable craft to take passengers right into the wooden village. In fact, the whole village, shops, schools, and recreational facilities must be clear of tidal movements, even though some settlements and villages are nearly 100 kms from the sea. The Asmat region is perhaps better known for its woodcarving skills and unique culture. For centuries the Asmats were preoccupied with appeasing ancestral spirits and Asmat villages became reknowned for their beautiful and well-designed shields, drums canoes, and sculpted figures which have made these remote communities attractive to anthropologists and art collectors. The way of life of the Asmat tribes of West Papua is under pressure from the Indonesian Government’s desire for modernisation. Wooden roads appear to be gradually replaced by concrete causeways and increasingly, electric motor scooters are the mode of transport in the newly developed side of town. These recently installed roads and causeways are a sign of Indonesia’s policy of transmigration. From Java and other islands newcomers arrive, and with them, it seems, motorbikes and modernity. Despite the modern materials being used to build in some parts of the town, it is certain that the villages of Asmat will still keep the traditions of building everything above the high tide marks. Designing a village from timber in West Papua, is perhaps not quite the same as building a pole home in Australia but in the case of the Asmats, houses and villages have been designed in a direct response to the environmental conditions that the communities find themselves in. The design issues will transcend any political changes as the tide demands its form stay, regardless of the more recent materials of modernity imported from Indonesia. Photo credit:Village of Agats. Photo by Dr Charles Zuber.